Dr. Alan Haroian graduated from Boston University in 1978 with a Bachelor of Arts degree in Chemistry with a Biology Minor. In 1981 he graduated from Tufts School of Dental Medicine. He then was commissioned into the U.S. Army Dental Corps and served over twenty years, attaining the rank of Lieutenant Colonel. While in the Army, he distinguished himself with numerous military awards and decorations including the Expert Field Medical Badge. He completed Command and General Staff College, and later served as the Officer-in-Charge of the Keller Army Hospital Oral Surgery Clinic at West Point. His dental accomplishments include two publications in national dental journals and first place table clinic presentations in Composite Resins and Periodontal Disease. In April of 2003 he opened Hampstead Family Dental. In 2013, he sold the practice to Doctors Keith and Courtney, and today he still remains with the practice he started working 1 day a week. Dr. Haroian has completed advanced Laser training and provides treatment with the Waterlase. 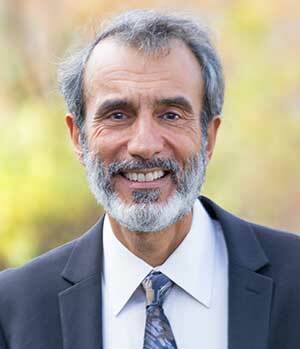 Dr. Haroian lives in Londonderry with his wife and two sons.